Heat oil in a deep fryer to 375. You want just enough oil to cover the wings entirely -- an inch or so deep at least. Combine the butter, hot sauce, ground pepper, and garlic powder in a small saucepan over low heat. Heat until the butter is melted and the ingredients are well-blended. Combine the flour, paprika, cayenne powder, and salt in a small bowl. If the wings are frozen, be sure to defrost and dry them. 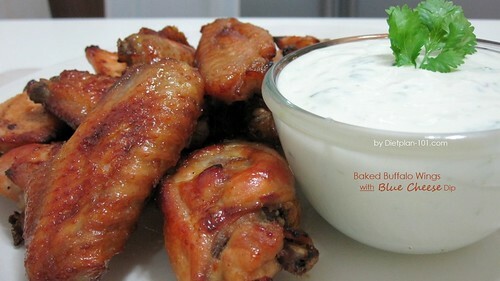 Put the wings in a large bowl and sprinkle the flour mixture over them, coating each wing evenly. Put the wings in the refrigerator 60-90 minutes. This will help the breading to stick to the wings when fried. Put all the wings in the hot oil and fry 10 to 15 minutes or until some parts of the wings begin to turn dark brown. want to serve them hot. Quickly put the wings in a large bowl. Add the hot sauce and stir, coating all of the wings evenly. Serve with blue cheese dressing and celery sticks on the side.